Today, organizations are challenged to innovate better, faster, cheaper. Many professionals do not know where to start. Some have implemented toolsets that are incomplete (e.g. just a decision-making model or project management). Some have adopted other’s toolsets or management book models, which are ineffective for a variety of reasons. The necessity for a more thorough approach is felt by many. There is a new international Innovation maturity model. 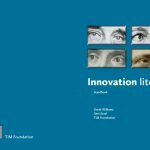 This is a collection of standards and guidelines, reference documents and tools to build innovation capability. With it you build your own custom innovation management system, improve your existing innovation management practices. Also use it to train your employees, value an organization’s innovation capability and its innovation project portfolio, or help assign innovation subsidies, grants or tax breaks to the best recipients. Read More about the Innovation Maturity model here. Why is this innovation maturity model unique? 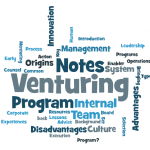 It is the first truly international publicly available maturity model of its kind, and offers an integrated, coherent view on how organizations, of any kind (profit, non-profit, public) can become and stay innovative. It is built on a standard which is universal, meaning any organization can adopt it, for-profit, not-for-profit, or public service. 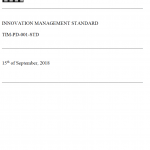 Release of a new sustainability guideline, a support document to TIM Foundation’s core Innovation Management Maturity Model, Standard and Guidelines. The new Supply Chain Innovation Guideline.